We’ve got goosebumps that prove how spooky Edinburgh Scotland. We tried to fit in by playing with illusions in the Camera Obscura exhibit. Here is the Edinburgh, Scotland Camera Obscura in photos. The concert we came to see: our favourite band Arcade Fire playing at the Edinburgh Castle. We were up close with Arcade Fire…(there may have even been some tears). Two years later we were in the country for the second time, but feel like we’ve failed Scotland again. I’m not sure if there is such a thing as “travelers guilt,” but I think we’ve got it. After the concert the Fife Coastal Path, Scotland appealed to our adventurous side so we went out to explore. We expected that when we visited the St Andrews Old Course, also known as the “Home of Golf,” we would witness a whole new level of pompous. We were wrong. During our last weeks in Scotland we were able to climb to large mountains. 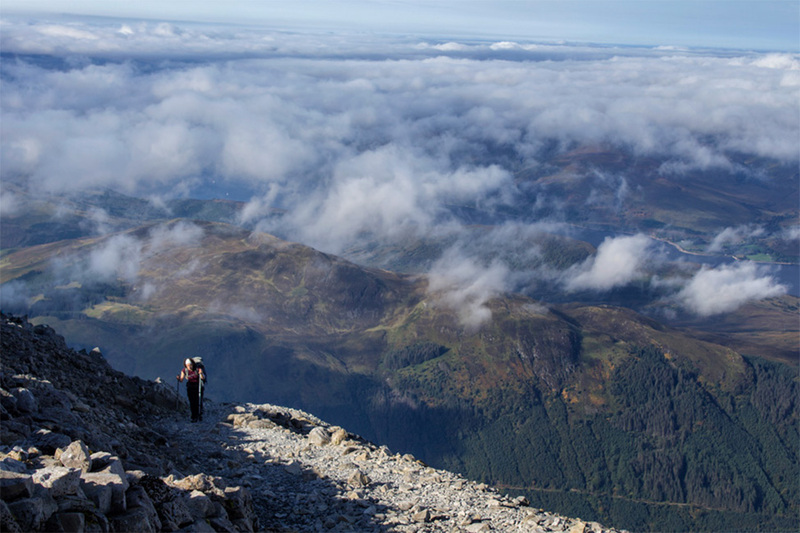 This is climbing Ben Nevis.